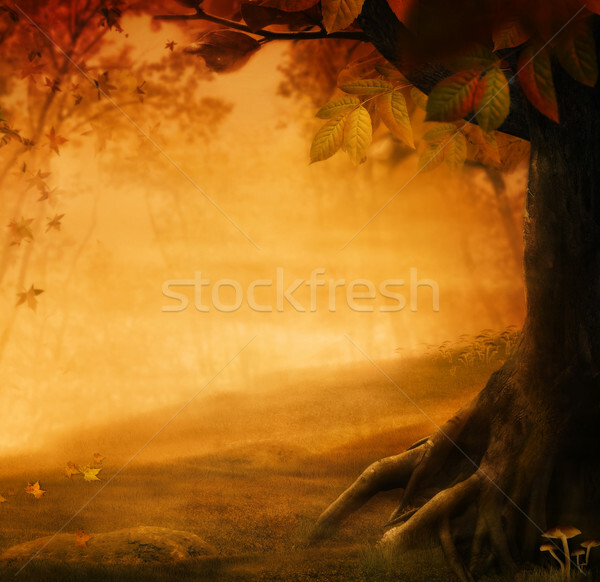 Foto stock: Outono · projeto · floresta · cair · vale · cogumelos / Autumn design - Forest in fall. Autumn valley with mushrooms Falling leaves and bird house in he background. Space for your autumnal text.